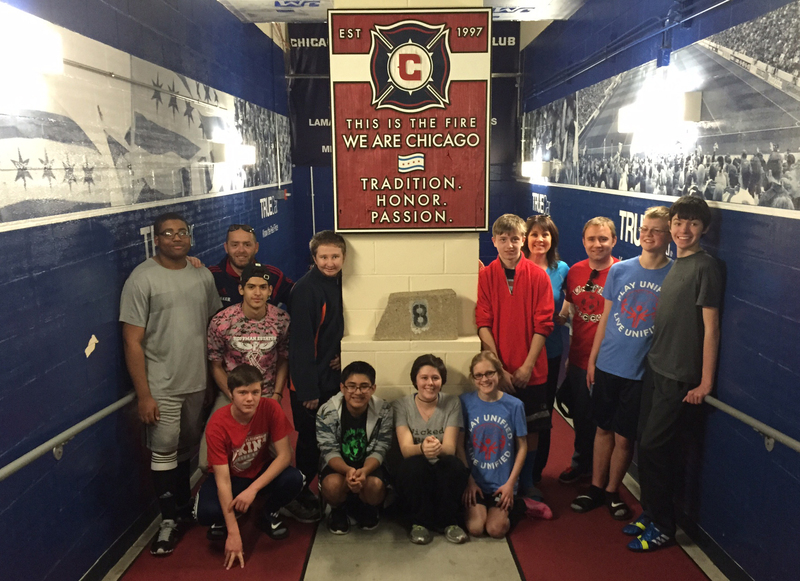 The Chicago Fire and Special Olympics Illinois introduced on April 3 members of the inaugural Unified Soccer All-Star team, a squad composed of Illinois-based teens with and without intellectual disabilities. Selected were Special Olympics Illinois athlete Joshua Banty and Unified Partner Andy Torres of School District 23; athletes Mackenzie Carlson and Nathan Simmons and Partner Brenna Poncin of Normal Community West High School; athlete Adam Letcher and Partner Gerardo Valencia of Hoffman Estates High School; athlete Ryan McDonough of Waubonsie Valley High School; and athlete Warren Richards and Partner Jared Joekstra of Homewood-Flossmoor High School. Over the next four months, the team will train together in preparation for a matchup with Special Olympics Oregon, which will be held in conjunction with the Chicago Fire First Team’s Aug. 7 road match at Portland Timbers. With more than half a million participants worldwide, Unified Sports initiatives seek to break down stereotypes in a fun and empowering athletic environment. Unified Sports soccer matches feature 5 a side competition, with each side represented by three athletes and two Partners. On March 28, candidates from around Chicagoland and Central Illinois turned out to The PrivateBank Fire Pitch to participate in tryouts. 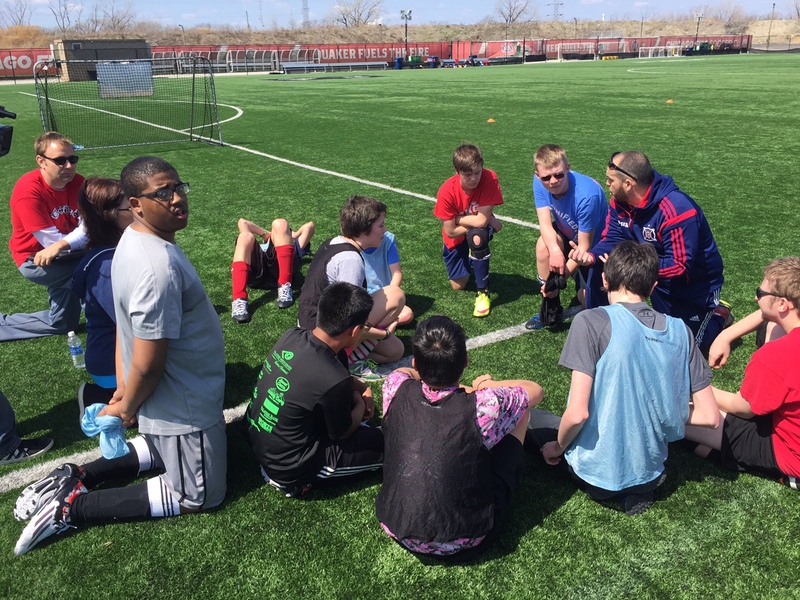 Athletes were put through their paces by a coaching staff comprised of Paul Cadwell, Chicago Fire Director of Soccer and Team Development, and Special Olympics Unified Coaches David Dore of Homewood-Flossmoor High School and Julie Phelan of Hoffman Estates High School. Following tryouts, the coaching staff named a team of six athletes and four Partners, who came together for their first official practice April 11 at Toyota Park. The group will receive training from Fire players and coaches as well as Special Olympics instructors throughout their preparations. In addition to their August road trip to Portland, the Unified Sports team also will be recognized in a special send-off event during the Fire’s June 24 home match against D.C. United. View additional information on the Special Olympics Unified Sports program.